M-GO Review « Get Rid Of Cable | Cut The Cord And Get Rid Of Cable Today! 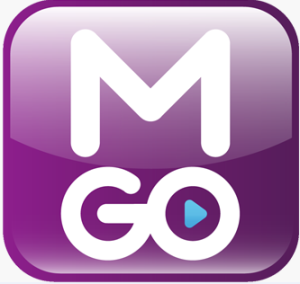 M-GO Review: The number of services that provide streaming media options seems to grow every day. In the past we have talked about Amazon Instant Video, and Netflix. Today we are going to be talking about a relatively new kid on the steaming media block M-GO. People I talk to about how to get rid of cable know of my fondness for the Roku 3 and if you have taken my advice and have picked up the awesomeness that is Roku 3 you may have noticed that one of the new alternatives to cable tv: M-GO has become the Roku preferred provider for movies and TV; scrolling through the main menu on your Roku 3 you will find it under “Movies” and “TV” as well as listed with all of your other channels. M-GO is the product of a partnership between Dreamworks Animation and Technicolor. Now I will admit that I don’t know a lot about what company produces what series or film but I would imagine that this will likely be a limiting factor in the future. That said the selection seems pretty standard and focused around newer releases and currently running TV shows. I honestly didn’t find anything here that I couldn’t get on Amazon Prime or from a Redbox, but it wasn’t a bad selection necessarily. One of the dreams of people that decide to get rid of cable is À la carte pricing, that is being able to choose what you want and pay for just that. This is the real strength of M-GO as there is no recurring monthly fee or subscription cost it is truly “see movie, rent/buy movie”. All that said I found their movie prices to be a bit on the pricey side with some titles being as much as $5.99 for a one day rental and of the 10 titles I checked the least expensive was $3.99 for a 24 hour rental; so in this regard you fare much cheaper with Amazon Prime or Redbox. Television episodes were a bit more in line with industry standard at $1.99 for SD and $2.99 for HD to buy per episode. Most if not all titles are available in HD and look and sound excellent and played smoothly. I haven’t tested any SD titles but I think it is safe to assume they are of standard SD quality as well. The more content options available to those that decide to get rid of cable the better and M-GO review presents another solid option for cord cutters to stream their favorite titles. The fact that there is no commitment to a monthly subscription and that it seamlessly integrates with the Roku 3 make M-GO worthy to have added to your app collection but the price point and somewhat smaller selection keep it from being and industry leader for the moment. As of this writing 12-17-2013 they are offering 2 free rentals so I recommend everyone at least take advantage and see for themselves.